Marketing and advertising professionals are facing increasing pressure to prove their impact on the bottom line, and justify their marketing strategies and everyday decisions with hard data. This makes it crucial to use tools and techniques that go far beyond behavioral data. With insight into the ‘why’ behind consumer behaviors, your decision-making process will be easier, and your strategy will have far more impact. 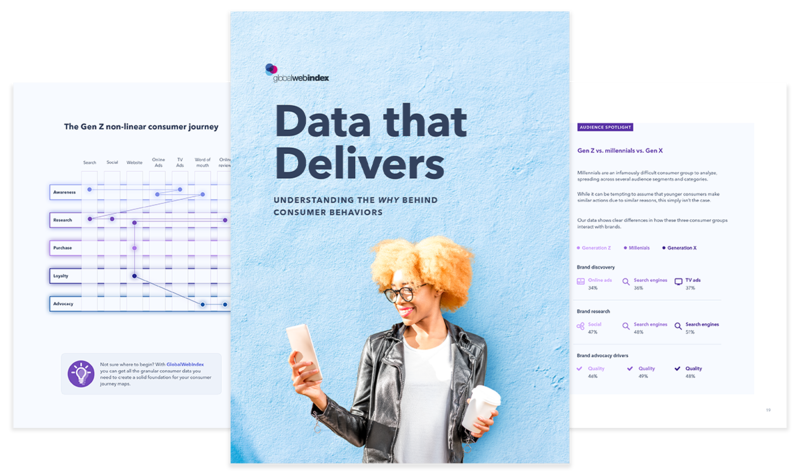 In this guide, we’ll take a closer look at what it takes to close the loop, using granular consumer insight to form a 360-degree picture of your target audience and deliver the right results in our study of consumer behavior. We explore the changing role and importance of consumer insight, and what marketing and research teams must do to help their brand compete in 2019. Analyze key consumer actions, psychological factors and motivations to get true insight. Map the increasingly fragmented consumer journey, from research and purchase decision, to customer satisfaction. Combine deep insight with analytics that track digital footprints and the consumer decision process. Deliver the experience your target consumers expect from your brand and products across channels. This guide looks beyond devices and social media platforms, to what consumers are looking for, and why these channels are being used. Find out more about the consumer psychology that urges them to follow a brand, or make a purchasing decision of a particular product at a particular time and place.